Are You Killing Your Dog With Kindness? Fat dogs are no dfferent than fat people. I'm not kidding! I see fat dogs everywhere I go. I see fat people with fat dogs. What do you see when you look at your dog? What do you see when you look at yourself in the mirror? 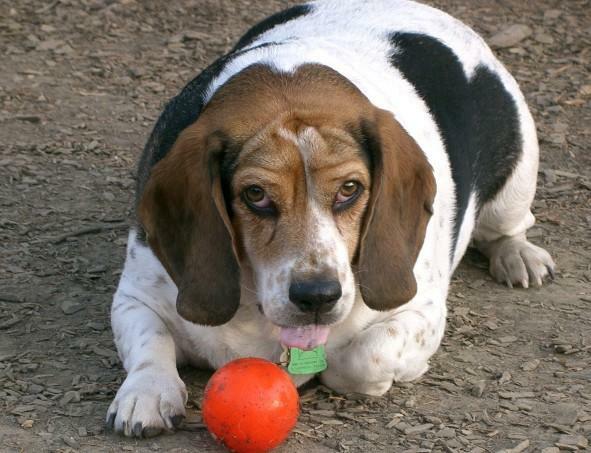 Is your dog overweight and unhealthy? Are you overweight and unhealthy? I sincerely hope not. The American Veterinary Medical Association tells us that a whopping 40 percent of dogs in the United States are overweight. Can you believe that? That's close to half of all dogs, totalling more than 17 million fat dogs. Only 17% of these dog owners believe that they have fat dogs. That's amazing! That means the rest think that their dogs are of a normal weight, according to the AVMA. Obesity in dogs is increasing at an alarming rate. We feed our dogs way too much food, and we feed them too often. 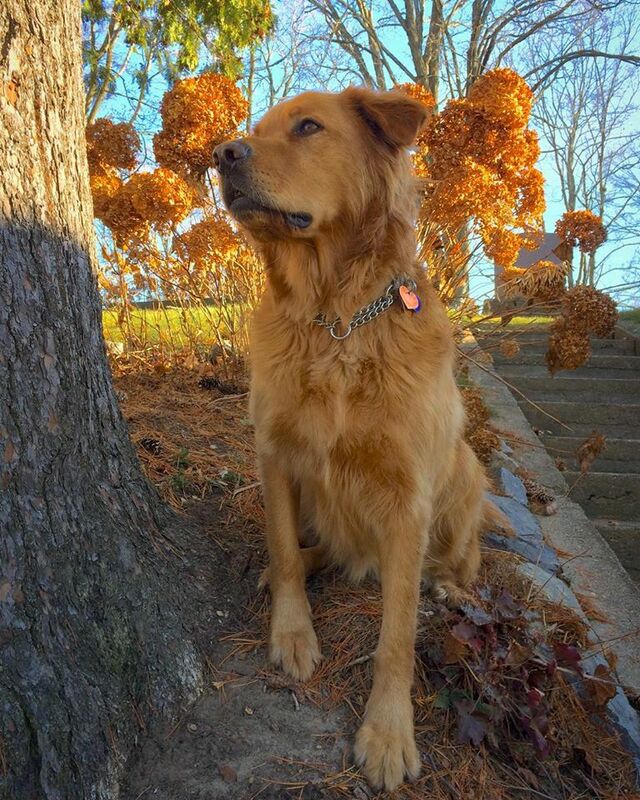 You never see a fat dog in nature. Those wild dogs are lucky if they eat every day. Mostly they do not eat every day. They have to work and move to catch their meal. Our dogs lay on the couch and then are served two meals a day with snacks and treats on the side. 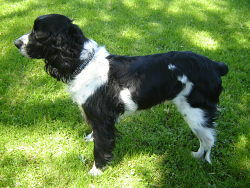 My handsome lean, fit,12 year old English Springer Spaniel, Pager. Who's to blame for all these fat dogs. Well I hate to point a finger but, YOU are. You are the pet owner. You're the one who gives your dog food. Take a good, hard look at yourself in the mirror. I know you love your dog, don't you? I'll bet you love to give him dog treats because he's SUCH a good boy. Yes, or yes? What about a piece of pizza every now and again? Maybe a bowl of ice cream? How about peanut butter? Yum! He loves that, doesn't he? No doubt he does. Dogs are opportunists after all, but your kindness is killing him. Did you realize that? Do you know that one dental chew treat can have 50 calories? Whoa! What's wrong with this picture? Excess weight is the number one contributor to poor health. Fat dogs are no different than fat people. I don't mean to sound unkind here, but it is the depressing truth. Overweight dogs and people simply have more health problems than people and dogs who are slim and fit. If you continue to routinely overfeed your dog and under exercise him, common dog health problems such these listed below and more, will sooner or later appear. Diabetes is increasing at a shocking rate! Then what? Well, you guessed it. You'll be off to the vet. You will be worried sick about your dog, because the vet will explain to you just how serious all these health problems are. You will walk out of the office with a VERY big bill, even though there is no pill to correct overweight! Look around you. Have you ever seen a fat wolf, or a fat coyote, or a fat rabbit, or a fat horse, or a fat bird. No absolutely not. Animals that live outdoors in the wild, are never fat. That is not because they do not have enough to eat. They have plenty to eat. It's about the quality and type of food they eat, and whether or not they can catch it. They are moving, they are travelling, they get plenty of exercise, they are looking for food all the time. It's what they do, they search for food. It's their job. If they don't, they don't eat! This is Mother Nature's way of enforcing a fasting time. Fasting is a very healthy thing to do. It is not in the nature of animals to become fat on their own. It takes misguided humans to turn animals who should be naturally healthy and fit, into overweight, obese and unhealthy, fat pets. All in the name of trying to be nice to them, wanting to be kind to them. Dogs already know how to keep themselves slim and healthy. They wouldn't need canine weight loss programs if they were able to fend for themselves, and they don't need special weight control food from the vet. They just need you to understand that good health is the greatest gift you can give to yourself, and to your dog. Be Honest! Do You Have a Fat Dog? Bet you can't even tell, can you? Do you think it's cute to have an obese dog? Are you one of those people who think a fat dog is funny? I sure hope not. 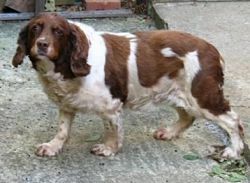 When I see a fat dog, I think that's quite sad, actually! If you take your dog to the dog park, you will see many other dogs. Do they all look like your dog. Yes? Well that's because they're all fat dogs. 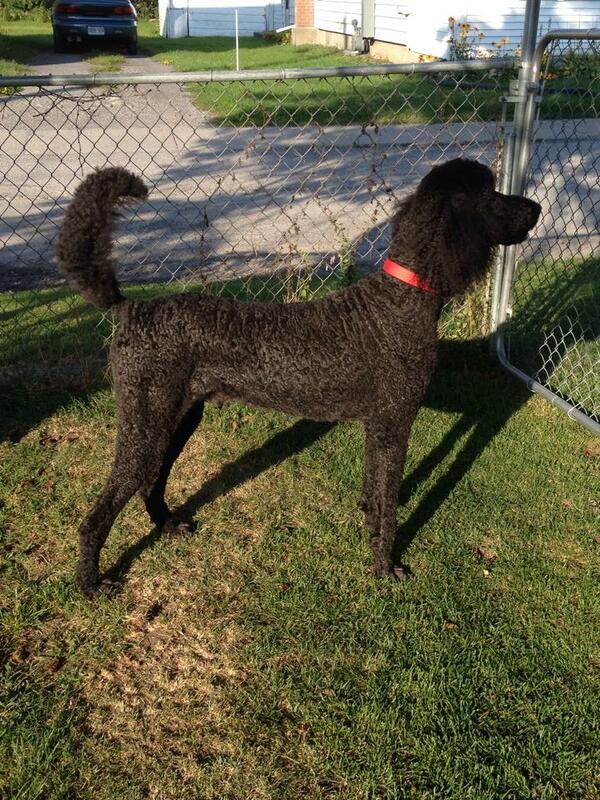 If you see a dog that isn't like this, you will say..." that dog is really skinny "! No, it's the other way around. The thin one is the healthy dog, at the proper weight. Maybe you tell yourself..." he's just a big boy ". How many times have I heard that excuse? No, he's a fat boy! 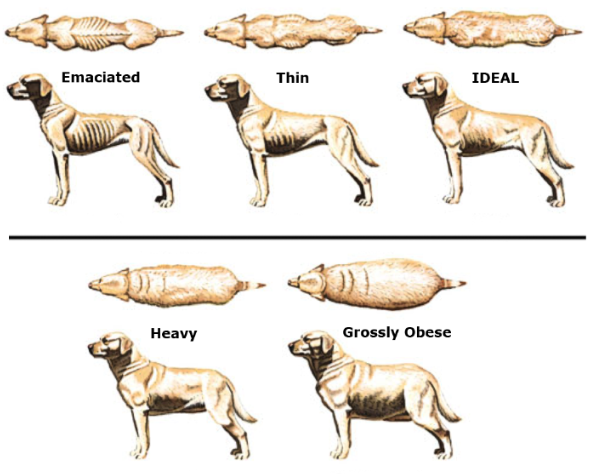 Here's the easy way to tell if your dog is fat. If you can't see the outline of his ribs, he's too fat. If you can't feel his ribs, he's way too fat. If you look down at him and he doesn't have a waistline, narrowing between the ribs and the hips, he's really fat. You Can Be the Hero in Your Own Health Story. Please watch this wonderful video below. It will touch your heart, and I sincerely hope it inspires you to take action for the sake of your own health and the health of your dog. You both deserve the gift of good heath. Be the star of your own movie with your dog. Look at your dog from above. Now, look at your dog from the side. Compare with the pictures in the diagram below. 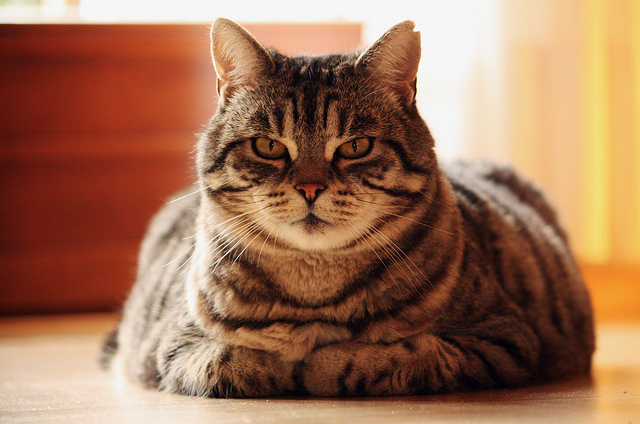 By the way, 58 percent of pet cats are either obese or overweight. Inappropriate feeding and lack of exercise are showing an appalling rise in diabetes, thyroid disorders and kidney problems in domestic cats. So sad!